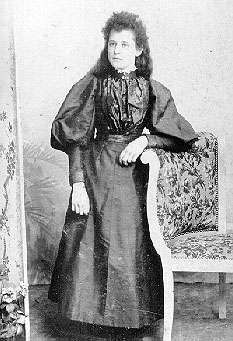 Eliza Jane, my Great-great grandmother in 1897. Lancashire Will Search is now available. The page currently will allow you to search over 240 000 records including infra, supra, Halton, and wills proved at Richmond. This service is now available to those outside of the UK. Search English and Wales Civil Registration Index for free at FreeBMD. This resource is not complete, but growing. Don't know where to start? Check out the Starting English Research page. Confused about Latin? Try the Latin Primer. The Church of England played an important role in preserving the family history of millions of English people over the years. Below is a brief time line of history in England and important record keeping events that one might keep in mind when doing English research. Source: Research in England and Wales Vol. II, pp. 185-194. 1509 Henry the Eighth (1509-1547). c. 1510 Early years of the English Renaissance or New Learning. 1520 Field of the Cloth of Gold. c. 1521 Early years of the English Reformation. 1522 War with France. 1523 Tyndale's English version of the Bible secretly distributed. 1534/5 Henry VIII assumed the title of Supreme Head of the Church of England. 1534 English renunciation of Papal supremacy. 1536 First attempts to initiate the keeping of parish registers fail. 1536-1538 Rebellions in the northern counties against the suppression of the monasteries. 1535-1538 Suppression of the first the lesser and then greater monasteries. 1538 Parish registers ordered to be kept and successfully initiated. 1547 Edward the Sixth (1547-1553). c. 1550 Walloon Protestants arrive as refugees from the Low Counties. 1547 The injunction to keep parish register reiterated. 1553 Queen Mary (1553-1558) 1553-1558 Protestants persecuted and many burnt at the stake. 1553 Many parish ministers replaced by those favoring the Queen. 1557 War with France, loss of Calais. 1558 Injunction re-enforcing the keeping of parish registers. 1558 Elizabeth the First (1558-1603) 1559 Reorganization of the Church of England settled moderately. 1560 War with Scotland 1560 Calvinism becomes the national religion of Scotland. 1562 African slave trade commenced. 1563 Papal recusants heavily fined for non-attendance at Church. The Test Act excluded Roman Catholics from governmental office. 1567 Earliest date in the French Protestant and Walloon registers. 1579 Act of Uniformity in matters of religion enforced. 1571-1572 Presbyterianism introduced into England by Thomas Cartwright. 1584 Virginia first colonized. 1580-1581 Robert Brown, and early Separatist from the Church of England. His followers "Brownists," later known as Independents or Congregationalists. 1588 Defeat of the Spanish Armada. 1592 A Congreational (or Indenpendent) Church formed in London. 1599 Revolt in Ireland. 1593 The Conventicle Act aimed at the preaching and worship of noconformists. 1587 All parish registers ordered to be copied on parchment. A copy to be sent to the Bishop's office annually. 1603 James the First. 1606 Groups of Separatists fled to Holland. 1603 Further reiteration of previous acts concerning the keeping of parish registers. 1607 Jamestown, Virginia founded by Captain John Smith. 1611 King James or Authorized Version of the Bible published. 1614 Some Separatists returned to London and established a church later became known as the General Baptists. 1618 Beginning of the Thirty Years War with Germany. 1620 Congregationalists sailed on the Mayflower and found Plymouth Colony in Massachusetts Bay. 1626 Charles and Parliament struggle for power. War with France and Spain. 1629 Parliment dissolved by the King and did not meet for another eleven years. 1642 Beginning of the Civil Wars. Battle of Edgehill. 1642 From the commencement of the Civil Wars some parish registers ill-kept and earlier records lost or destroyed. 1643 Battle of Roundaway Hill and siege of Gloucester. 1643 England and Scotland sign a covenant to bring about changes in religion and government and to extipate Popery. 1644 Earliest known date in known Presbyterian registers. 1644 Battles of Cropredy Bridge, Marston Moor, Newbury and Tippermuir. 1644 Earliest date known Independent (Congregational) registers. 1645 Battles of Naseby and Philliphaugh. 1647 Presbyterians in power in both church and government. 1647 Earliest date known Baptist registers. 1648 Battle of Preston 1648 The Westminster (Presbyterian) Confession of Faith. 1649 Charles I executed. The Commonwealth established and the monarchy established. 1649 George Fox, founder of the Society of Friends (or Quakers) commenced his preaching. First Welsh Baptist Church founded at Swansea, Glamorgran. 1650 Battle of Dunbar, Scotland. 1651/2 Battle of Worcester, Union with Scotland and War with Holland. 1653 Oliver Cromwell became Lord Protector. 1653 The meetings of the various Nonconformist groups begin to increase in number. 1653 Provincial probate courts abolished and all probates granted in London only 1653-1660. 1654 War with Spain. England mistress of the seas. Capture of Jamacia. 1653 Justices of the Peace alone empowered to solemnize marriages. The parish clerk to record births, marriages and deaths. Some parish registers not kept at all. This condition lasted until 1660. 1658 Battle of the Dunes. Capture of Dunkirk. Death of Oliver Cromwell. 1657 A few Jews permitted to settle in England. 1658-1660 Richard Cromwell (son of Oliver) Lord Protector. 1660 Charles the Second (1660-1685) 1660 The ejected ministers return to their livings 1654-1661 Many Quaker records commence about this time. 1660 Provincial probate courts reopened. All parish registers again recording events in normal manner. 1662 Act of Uniformity. 1662 About 2000 vicars and rectors driven from their parishes as nonconformists. (Presbyterians and Indenpendents). Persecution of all non-conformists. Presbytariasm dis-established. Episcopalian Church of England restored. 1665 Plague of London. War with Holland. 1666 Fire of London. 1662 New system of Poor Law administration. Lasted until 1834. 1663 Earliest date known Roman Catholic registers. 1667 Burials in woolen enforced by law to help support the declining wool trade. 1671/2 Declaration of Indulgence freed nonconformists from prison and permitted their free worship. 1691 Earliest date in known German Lutheran registers. 1672 War with Holland. British Army increased to 10,000 men. 1672 The Test Act excluded Roman Catholics from public office. 1679 The Habeas Corpus Act. 1682 Pennsylvania founded by William Penn. 1679 Burials in woolen more strictly enforced. 1685 James the Second (1685-1689) died 1701. Monmouth rebellion and battle of Sedgemoor. British Army raised to 20,000 men. 1685 Revocation of the Edict of Nantes drove thousands of Protestants (Huguenots) out of France many of whom settled in England. 1684 Huguenot French resisters commence in London. 1688 Army raised to 40,000. William of Orange landed in England. Bill of Rights. 1689 The Presbyterian Church established by law in Scotland. The Toleration Act permitted freedom for protestant nonconformists. Bill of Rights passed. 1689 Earliest known Royal Dutch Chapel registers commence. 1690 Battle of the Boyne. 1692 Frence intention to invade England came to naught. 1693/4 Bank of England established. 1695 Acto of Parliment imposing a fine upon all who failed to inform the parish minister of the birth of a child. This Act repealed in 1706. 1695 Commencement of the lists in parish registers of "Dissenters" children born but not christened in the parish church. Some were named "Papist" and others "Protestants". 1698 Duties (taxes) on entries in parish registers. Repealed after five years. 1707 United Kingdom of Great Britain formed by Union with Scotland. 1711-1715 An Occasional Conformity Law, aimed against the Nonconformists. 1711 Order to keep parish registers with ruled and numbered pages given, but general not observed. 1713 Spain ceded Gibraltar to England. 1714 George the First (1714-1727). 1714 Landholders compelled to take the Oath of Alliegence and renounce Roman Catholicism. 1714 Quarter Sessions Records from this date often mention Protestant dissenters and Roman Catholic recusants. 1715 The Jacobite rebellion during which the Roman Catholic Pretender attempted to seize the throne. 1727 War with Austria and Spain. 1727 George the Second (1727-1760) 1717 Roman Catholics forced by law to register their estates. 1720 Manufacturing towns commence to increase in population. Rise of new wealth. 1733 War in Europe (Polish War). 1739 War with Spain and France. 1738 Howel Harris' sermons in Wales laid foundations for Welsh Calvinistic Methodism. 1739 Wesley and Whitefield commence great Methodist revival. 1740 John Wesley separates himself from the Moravians. 1741 Benjamin Inham founded the Moravian Methodists or Inghamites. 1733 Law forbidding the use of Latin in parish registers generally obeyed, although some continued in Latin for a few years. 1738 Earliest date in known Calvinistic Methodist registers. 1741 Earliest date in known Moravian church registers. 1743 40,000 English and Hanovarian soldiers fighting in Europe. 1741 George Whitefield preaching in London and founder of English Calvinistic Methodist Church. 1741 Earliest date in known Scotch Church registers in England. The Young Pretender, Bonnie Prince Charlie, and the Jacobites land in Britain in an unsuccessful attempt to seize the throne. 1744 First Wesleyan Conference held. 1746 Battle of Culloden. 1748-1756 Countess of Huntington's (Calvinistic) Methodist Connexion founded. 1752 New Style calendar inaugurate. Year to commence on 1 January instead of 25 March. 1752 Earliest date in known Lady Huntington's New Connexion registers. 1753 Earliest date in known Inghamite registers. 1759 Fort Duquense (Pittsburg) conquered by forces under George Washington. 1760 First English navigation canals. 1760 French surrender Heights of Abraham, in Canada. 1754 Marriage Act (Lord Hardwicke's) to prevent clandestine marriages, and ordering marriages to take place in parish of residence. 1762 France surrender Canada and Florida. 1762 Earliest date in known Unitarian registers. 1762 Earliest date in known Swiss Church Registers. 1764-1765 Early year of the Industrial Revolution. Watt improved his steam engine. Invention of the spinning jenny. 1765 Universalism preached in England. 1770 New Connexion of General Baptists organized in London. 1773 First organized beginnings of Unitarisim in England. 1776 American Declaration of Independence and the Revolutionary War. 1778 Penal Laws against Roman Catholics mitigated. 1779 Earliest date in known New Connexion Methodist registers. 1780 Earliest date in known Wesleyan Methodist registers. 1788 Settlement and colonization of New South Wales and Australia. 1781 Sunday Schools founded by Robert Rakes. 1783 Duty (tax) of threepence imposed upon each entry made in the parish registers causing some imperfect recordings. 1793 War with France -- 10,000 English soldiers in Flanders. 1793 Naval victories at Cape St. Vincent, and Battle of the Nile. 1788 First congregations of New Jerusalemites or Swedenborgians. 1793 Napoleonic War stopped reforms. 1797 Methodist New Connexion organized. 1787 Earliest date in known Swdenborgian (Church of the New Jerusalem or Jerusalemite) registers. 1794 The Duty (tax) on parish register entries repealed. 1803 Napoleon plans to conquer Europe and invade England. 1805 Naval victory at Tragalgar. 1801 First population census taken, but not of any genealogical value. 1802 Acto of concerning health and morals of apprentices. 1800 Earliest date in known Bible Christian registers. 1808 British Army in Portugal. 1806 Earliest date in known Primitive Methodist registers. 1812-1813 French armies driven out of Spain, Portugal and Germany. 1810 Bible Christians denomination formed by schism in Wesleyan Methodists. 1812 American "War of 1812" against England and Canada. 1810-1812 Primitive Methodists formed after expulsion from Wesleyan Connexion. 1813 New type of parish register books introduced consisting of ruled and numbered pages. 1814 Great distress through depression of trade due to war. 1815 Battle of Waterloo and Napoleon defeated. Corn laws enacted which impoverished the poor. 1814 Act of burial in woolen repealed. 1819 Riots in connection with social reforms. 1823 New laws concerning marriage by license. Opening of first railways. 1829 Catholic Emancipation Act; triumph of religious toleration. 1829 Earliest date in known registers of the Irvingite or Catholic Apostolic registers. 1831 A list of all parish registers dating prior to 1813 compiled. 1835 Earliest known date in Universalist church registers. 1837 New law concerning the civil registration of births, marriages and deaths enforced from 1 July. 1841 The first population census of value to genealogists. 1846 Irish potato famine. Corn Laws repealed. 1851 The population census improved and the information of great value to genealogists. 1858 Probate courts taken out of ecclesiastical jurisdiction. 1870-1874 Married Women's Property Acts protecting her use of and disposal of her own property. 1872 Penalties enforced for failing to register births, marriages or deaths. To find a LDS Family History Center in the U.S., Canada, England, Ireland, Scotland or anywhere else in the world visit Family Search and type in the location. Search England and Wales Civil Registration Index for free at FreeBMD. The Tide of Emigration to The United States And to The British Colonies. Note: My NELSON surname comes from my Danish ancestry from the surname NIELSEN, so I have no relations in England on the Nelson side of my family tree.